The Beam OCEANA 800 Anti-Piracy Solution, uses a Beam OC800 combined with an Inmarsat GSPS or FleetPhone SIM, Inmarsat Anti Piracy Covert antenna, battery back up, Alert button and antenna cables to provide a complete bundled installation,allowing emergency communications and SOS message to be sent if under threat. The inbuilt GPS system ensures that the teminal can receive pinpoint accuracy using an external GPS antenna and enables tracking and ALERT worldwide. Tracking and Instant ALERT messages can be sent via SMS or email address as required and is all configured through the handset. Alert messages can be easily activated on the unit or alternatively an additional alert button can be installed throughout the vessel to trigger and alert. The 505 Emergency Calling facility from the OC800 puts vessels directly in contact with a maritime rescue co-ordination centre (MRCC) free of charge. 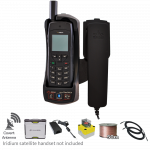 * only available with a Fleetphone SIM card / service. The back-up battery that comes with the package can last up to 20 hours on standby and/or 10 hours of talk time. 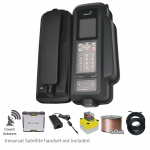 The Beam Piracy Solution is a complete bundled installation that provides an immediate contact/message under threat with the added ability to be able to make or receive a telephone call from the "safe room" at any time. 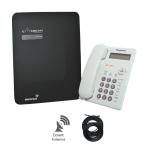 The Oceana 800 has 2 options for SIM installation. When the side SIM is present, this takes priority over the rear (default) SIM and will automatically register on the Inmarsat service. 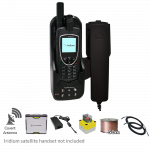 The Oceana 800 is water resistant with an Ingress Protection (IP) rating of 54. 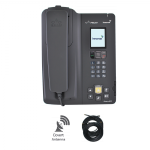 When tracking mode is configured and activated, the Oceana 800 can trigger instant messages with a single button press either to a phone number, email address, or any tracking application via SMS/email. 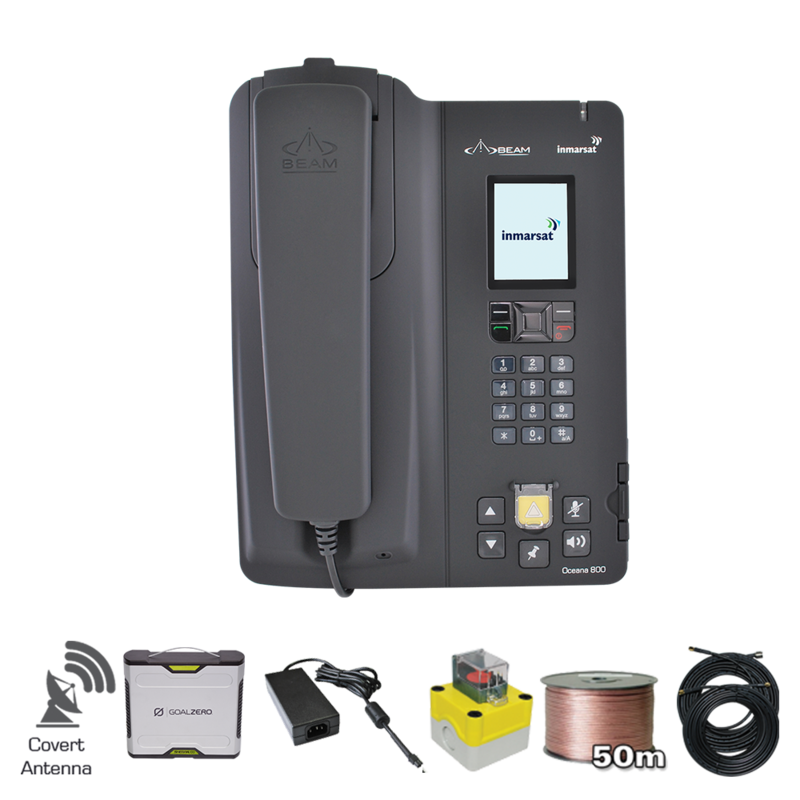 For more information please download our BEAM Anti-Piracy Solution for Inmarsat.